Our first stop on our drive to the oasis of Siwa was the monastery of Wadi El Natrun. We visited two of the four monasteries of the region. Deir Anba Bishoi, a 4th century monastery named after Anba Bishoi - the first monk in Wadi Natrun - and Deir al-Suryani, a 6th century monastery, named so as it was started by a group of Syrians after a dispute over the importance of Virgin Mary. 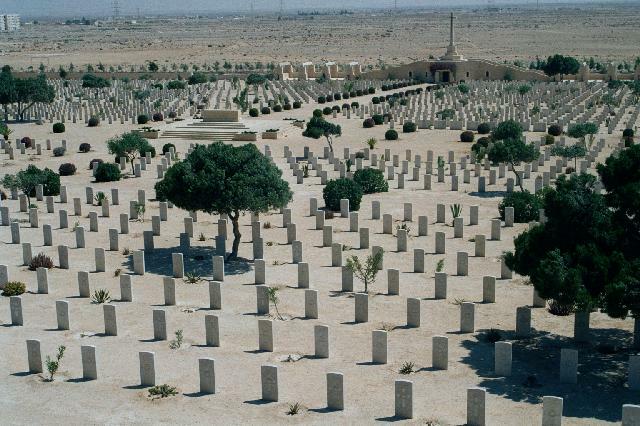 Our next stop was the war cemeteries of El Alamein. One of the most critical battles of the World War II was fought over the control of the Suez Canal in the deserts of Egypt, Libya and Algeria. The battle ended in El Alamein when the allied 8th Army under General Montgomery defeated the Afrika Korps under Field Marshal Rommel. All the details of the war can be seen at the excellent war museum. It was however very sad to see the cemeteries of the soldiers, most of whom were in their late teens when they attained martyrdom. 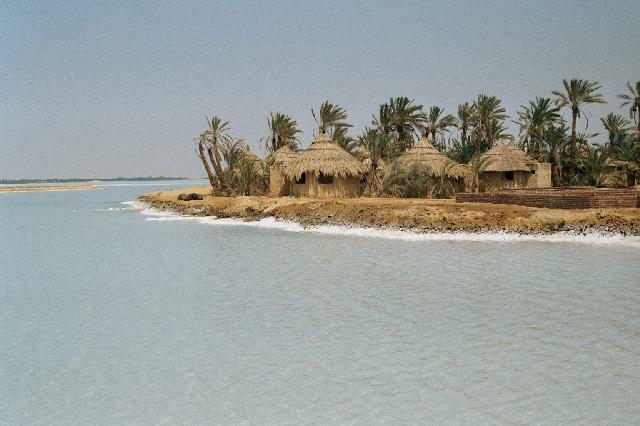 Siwa oasis is the westernmost of all oasis in Egypt lying at the edge of the great Saharan sand sea. Siwa is a very poor town where hooting of car horns is replaced with braying of donkey carts. Tourism, dates and olives are what keeping the locals from starving. In such a place, the last thing we expected to find was a restaurant serving authentic Indian food. But, thanks to an Indian chef who visited here few years ago, that is exactly what we enjoyed during our stay in Siwa. 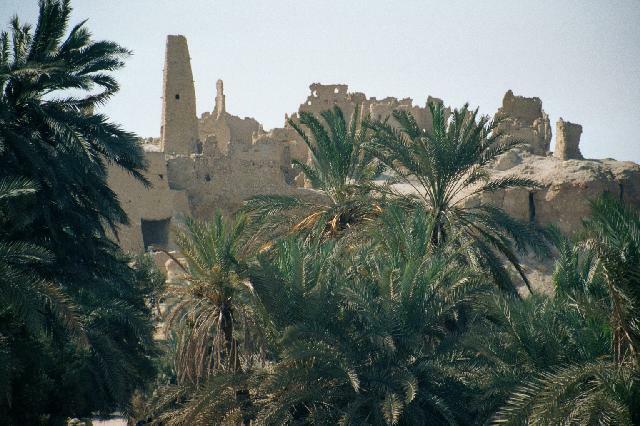 Like any self respecting site in Egypt, Siwa also hosts some ancient ruins and sites. The most famous of which include the oracle of Amun, visited once by Alexander, the great himself who wanted to confirm his divine birth, the ruins of Shali, a 13th century berber town ruined by a rainfall in 1920s and the mountain of the dead, tombs of some Greek nobles some of which still housing mummified remains. All the three sites also offer excellent view of the oasis. Rest of the sites including a dirty pool attributed to Cleopatra, a unimpressive tomb attributed to Alexander, the great are eminently avoidable. We spent the evening at the Fatnis island in Siwa to see a desert sunset and as it turned out, we ended up seeing the best sunset on our trip. 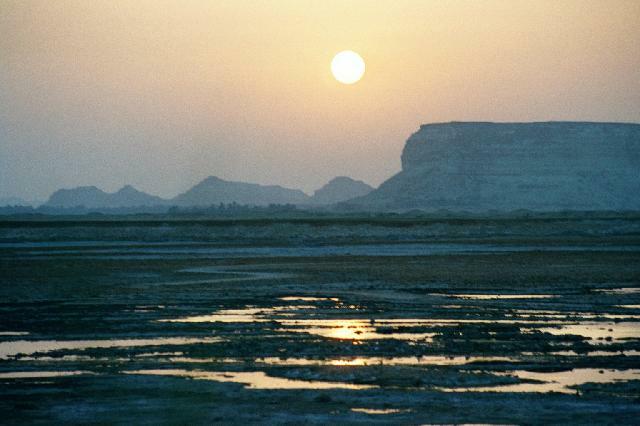 It is not the ruins but the proximity to the sand sea that is attracting the tourists to Siwa. We being no different spent the entire following afternoon on a desert jeep safari. It was like a roller coaster ride with the jeep travelling at breath neck speeds over the dunes up and down 80 degree inclines! I don't know how the driver could say the soft dunes from the drivable ones. In no time we were deep in the middle of the sand sea with sand all around us - and thanks to a sand storm we had sand inside us too! We left Siwa early next morning to Alexandria, the second largest city in Egypt after Cairo. Alexandria, due to its cooler Mediterranean climate is the biggest vacation spot among the locals and the ocean of people we saw in the cosmopolitan city was in stark contrast to Siwa, where women are still expected to walk in full length burkhas. Unlike other parts of Egypt where the afternoon begins at 6 pm, Alexandria shuts shop by that time. Thus our early morning departure from Siwa was not a great help. The Graeco-Roman Museum was our first stop on the following day. The museum houses sculptures from the Greek and Roman period pick of them being the busts of Roman emperors from Caesar to Marcus Aurelius. The 2nd century catacombs of Kom es-Shoqqafa is easily the pick of the sites in the city. The catacombs held over 300 mummies during the Roman times and it was interesting to see the Egyptian Gods portrayed with Greek and Roman attire. the Royal Jewelry Museum houses a stunning array of diadems, bracelets and other artifacts - including a exceptionally beautiful chess set - mostly belonging to king Farouq. It is kept in an equally spectacular palace belonging to his wife's relative. 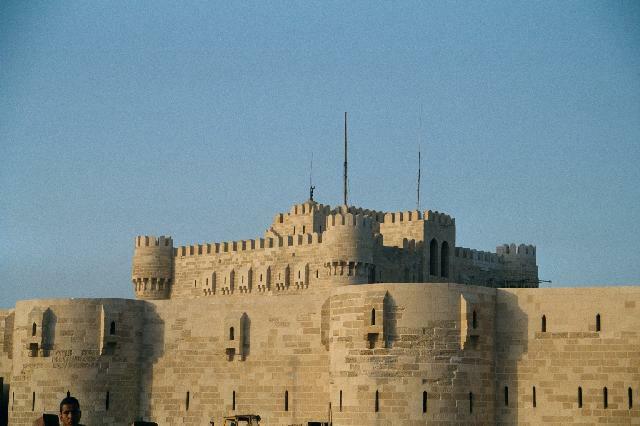 The minor attractions of the city include Roman amphitheater, Pompei's pillar (actually raised to honour Diocletian), Fort Qaitbey (a 15th century fort siting on top of ruins of ancient lighthouse of Alexandria) and Alexandria's new library. It was very unfortunate that Melody was down with a tummy bug and couldn't join us for the city tour. All the above attractions in Alexandria pales in comparison to the city's best kept secret, Ahmed Mohammed restaurant - a fast food place serving the best foul, falafel and mussoura on the planet..... best by a long way! Click here for more photos from Siwa oasis and Sahara desert. Click here for more photos from Alexandria.